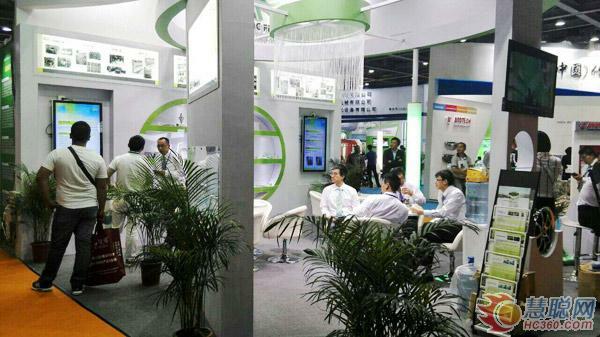 Hc 360.Com: From May 11-13, 2015, Chingfeng Enterprise brought the product of SiZir series of free-phosphate conversion agent and green exfoliate agent to participate the 11th SF exhibition in <?xml:namespace prefix = st1 />Guangzhou again. It also had a large booth to show the solution for the field of surface treatment. SiZir series of free-phosphate conversion agent is able to form the multi-film of nano’s silicon and zirconium with the function of increasing the coating adhesion and corrosion resistance. It can be used by many kinds of metal like steel, galvanized zinc and aluminum. 1. It did not contain the heavy metal of nickel and chrome to reduce the process of waste water and environmental burden. 2. No need for accelerator to avoid the harm of our health. 3. Used in normal temperature, saving energy. 4. Convenient for usage and control. Green exfoliate agent is not containing the carrene of exfoliate agent with carbonate and hydrogen and it is suitable for removing the coating layer of metal and plastic surface. It also can achieve the removing effect in a short period of time and will not affect its surface. 1. No carrene (halogen and camphane), phenol, benzene poisonous solvent. 2. Applied for removing coating layer of metal and plastic surface. The removing speed is fast and it will be done about 2-10 minutes. film with zinc and magnesium series which is having the function of coating adhesion and corrosion resistance. It can be processed by the metal of steel, galvanized zinc and aluminum. As for the future of Chingfeng’s green products, the member of Chingfeng’s company has the confidence to speak to the reporter: Due to continuous research and development, the group will concentrate on quality, environmental protection, low cost and convenient usage. Hopefully, people can understand some more about Chingfeng’s products and development in the future. 方面展开来，外界将更好地了解青烽的产品和发展。"